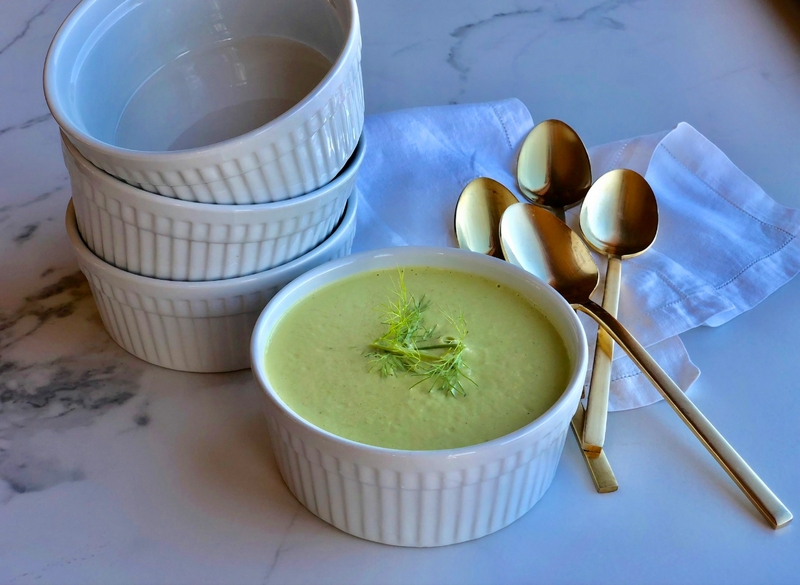 I’m feeling so ecstatic about spring that I couldn’t let March go by without creating a soup that is a bright reminder of what’s to come. 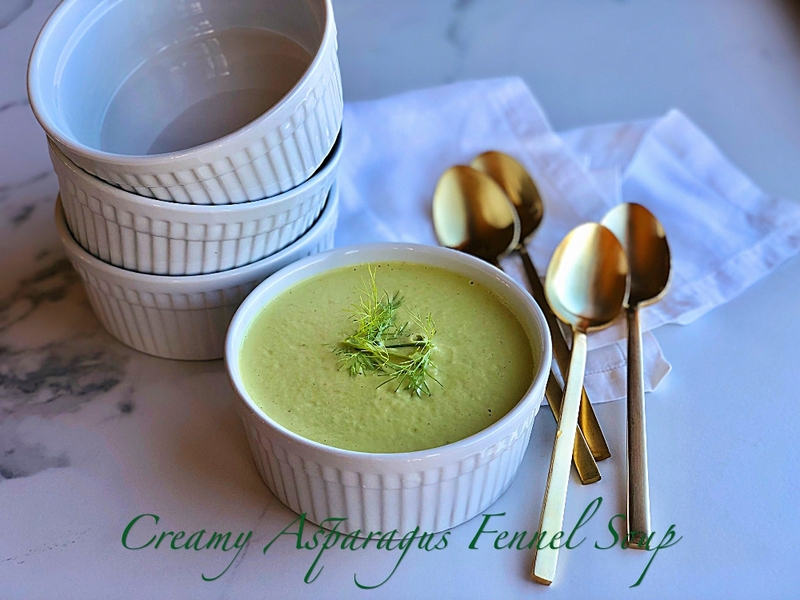 Creamy Asparagus Fennel Soup is the perfect soup to usher in spring. It’s bright in flavor and color and so easy to make. It’s full of seasonal veggies and it appeals to whole30, paleo and vegan eaters. Bonus: it got raves from the grands. Whoop! 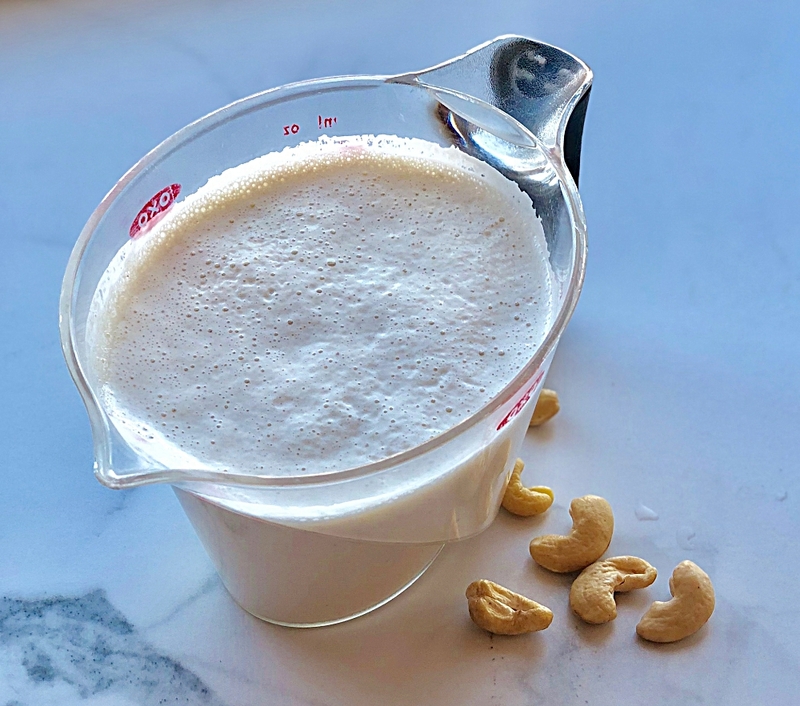 This recipe calls for homemade cashew cream which is made like cashew milk but with less water. It’s super simple. It requires some planning ahead to soak the cashews for 8 hours (or overnight). When it comes time to make the soup first thing to do is roast the veggies. Make the cashew cream while they’re roasting away. Cashew cream takes 2 minutes. Don’t let making cashew cream intimidate you, the hardest part is to remember to presoak the cashews. Once they’re blended with a pinch of sea salt and a pitted date you’ll see for yourself how dreamy this stuff is and why it works magic in this seasonal soup. After blending all of the awesome ingredients together, take care to gently reheat on a medium/low heat and stir frequently to prevent scorching. Soups aren’t considered to be a vegetable side but that’s exactly what this beauty is just in a different form. You can serve it with a salad with added protein for lunch (or dinner) or along with sandwich for the bread eaters in the family. It’s great also with crisp grain free salty crackers offering the complimentary crunch to a creamy soup. Make it as a festive addition to your Passover or Easter feast coming up soon. It’s the perfect seasonal choice for your table. Let me know how you like it! Preheat oven to 425 degrees. 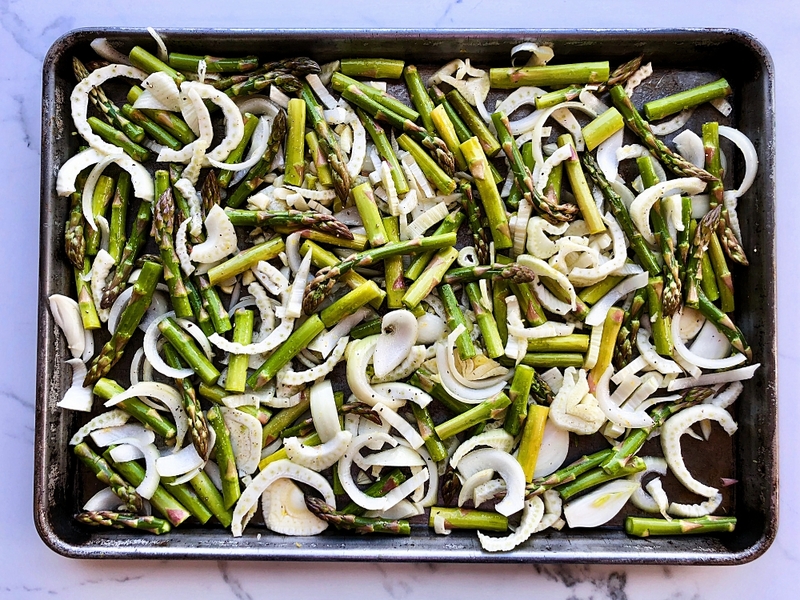 Place the prepared asparagus, fennel, garlic and onion on a rimmed baking sheet. Add the lemon zest and avocado oil and toss to coat well. Season with 1/2 teaspoon of sea salt and some black pepper. Roast on the center rack in your oven for 15 minutes. While the vegetables are roasting, make the cashew cream. Drain and rinse cashews until the water runs clear. Place soaked cashews in a high powered blender along with 2 cups fresh filtered water, the pitted date and a pinch of sea salt. Blend on low, gradually increasing to high, until well blended and smooth. Give it a couple of minutes. Measure out 2 cups and set aside. Use leftover cashew cream for smoothies. 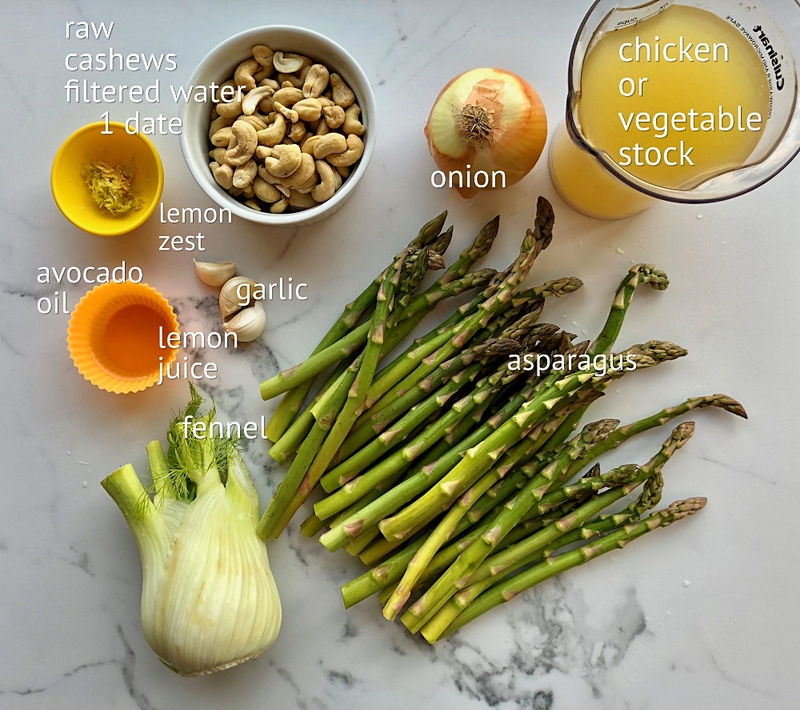 Using your high powered blender again (I use a Vita-Mix), add the veggie or chicken broth, roasted vegetables, and cashew cream. Blend until smooth and creamy. Pour soup into a 6 quart soup pot and gently heat. Add 2 tablespoons fresh lemon juice. Taste and adjust seasonings. I added another teaspoon of sea salt, but everyone is different. If the soup is too thick, you may thin with more chicken broth. Thanks Tiffany! Ok-love to have you come!